Recently I have been revisiting the idea of Resource Control decks as part of my game plan. Baduruu has always been the top Hero in Shadow Era to run a Resource Destruction build, so I began trying to look at why he can execute this so well. In my opinion, Baduruu, is able to execute a Resource Destruction / Control build because of the tempo he gains from his hero ability. He is able to maintain low resources, yet play powerful weapons to help him control the board. Vess Swifthands can be used in a similar fashion as detailed below. 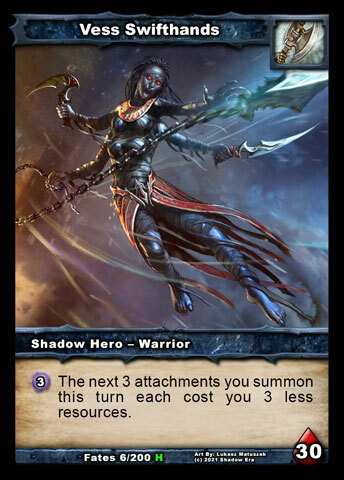 Vess uses the Warrior card pool, of Shadow Era, which doesn’t have as many options for Resource Manipulation. What the Warrior card pool does have is a lots of strong attachment based ally control cards and draw engine that Vess can utilize for her tempo swing with her Hero ability, which allows attachments this turn to be summoned for 3cc less. Aside from using Here Be Monsters to control opponents resource, we also use Wulven Tactician. Tactician is used to manipulate opponents resource cost for both items and abilities, and he is not unique so you can stack them. Tactician’s ability is limited to Wulven only allies though, so the build is limited in the ways in can look because there are not a lot of non-class Wulven allies available to choose from. While being limited the tribe does still have some complimentary usefulness, like Wulven Scout. Scout is a great ally, he allows you to see your opponents hand so that you can figure out the best way to proceed, do I destroy resources with Here Be Monsters, or increase item/ability costs with Tactician. The great thing about both Tactician and Scout are their abilities are passive so as long as they are on the board the abilities are working. Vess’ ability is unique and very reliant on attachments to be effective, so aside from attachments for drawing we also use attachments to help control the board. We have a combination of control tools Crippling Blow and Enslave the Beast which can be played very cheap or even free with Vess’ ability. 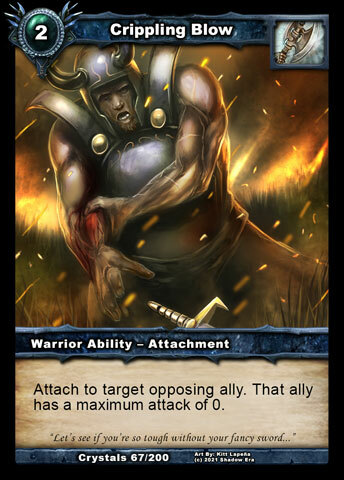 Enslave the Beast has a unique utility to also damage the opponents hero when destroyed so it’s a good card to play against allies with low health. I use Mocking Armor to protect my few allies, and most specifically Wulven Tactician. In earlier versions of Shadow Era, this armor was just so so because it has low durability and typically gets beat down right away. So why would it be different now? Attachment tempo, Vess can summon Mocking Armor, use her Hero ability to attach Lythite Coating to mocking armor (+1 durability and immunity to Item Destruction), and then proceed to unload control attachments on opponents allies to prevent beat down tactics. 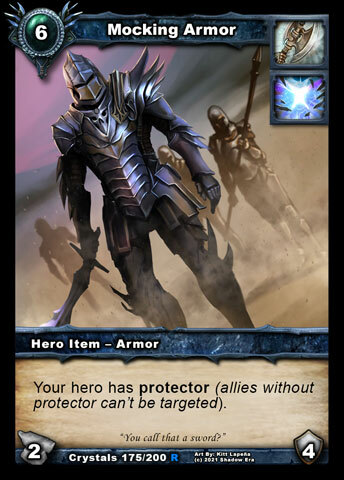 Mocking Armor really helps because Protector (on Hero) takes away the ability for you opponent to target your allies, saving them from the likes of control tools like Fireball and Transmogrification Curse. Smashing Blow are used to keep opponents Weapons in check (which should cost more because of Tactician) to prolong the armor as much as possible. 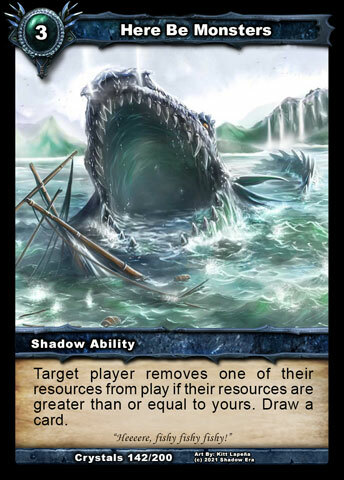 Dragon’s Tooth is a complimentary piece for additional control against Fatty allies such as Dakrath or Human decks running A Legend Rises. The tribe (outside of Wulven Class) lacks a variety of allies, especially a 2cc one which could really help this build. I opted to use Bad Wolf and Wulven Savage as my complimentary ally pieces. Bad Wolf has the healing factor going for him, but this is really only useful from behind Mocking Armor so opponents can not directly deal with him while he is wounded. 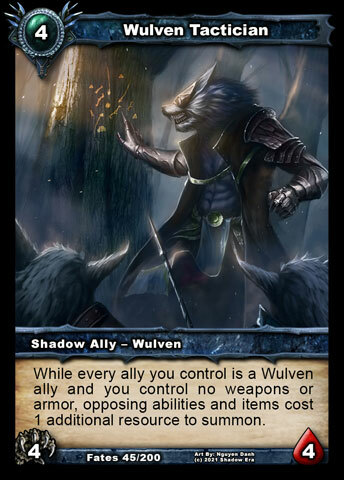 Wulven Savage’s utility comes from being able to get around protector and stealth, this only really helps against a few builds. There is a general strength against every deck due to having a variety of control tools for resources, items, abilities and allies. However there are some real weaknesses, to this deck as well. Traps, specifically Snare Trap and Death Trap, really hurt the build because they take away the few allies that you do have. At times only allies you can play would be Wulven Scout and Wulven Tactician, and they are not ideal to play. If you get caught behind a trap wall it is very difficult to recover, especially since there are no ways to remove traps for this deck other than disarming them. Priest are also difficult because they almost always play with Devoted Knight. Devoted Knight provides an increase to resources making it harder to delay their control tools. Cheap haste allies and weapons hurt because they can tear down Mocking Armor on low costs. This deck is not a top tier deck but is a nice change of pace from the same old same old. There are also some changes / tweaks that could be made to the deck with more play testing. I look forward to seeing if the next Shadow Era Expansion brings anything new for this deck. Tagged attachment, Here Be Monsters, Resource control, resource destruction, resource manipulation, Sf, Shadow era, shattered fates, tempo, tribe, vess, vess swifthands, warrior, wulven.